With the success of the campaign, we've shut down the Doing Our Bit charitable trust. That's not to say there isn't more work to do nor that we're satisfied with New Zealand's place in the world. Nor does it mean I will stop being involved in refugee advocacy. But the campaign relied on honesty and transparency and that requires we stick to the ask. This was never about starting an NGO or an organisation or a movement – it was a campaign, and campaigns come to an end when they're won. We won and Doing Our Bit is coming to an end. At the end of my book on the campaign, I highlighted three areas that were really important to focus on. Luckily we've got other organisations who are focusing on those issues – the Red Cross will be rolling out the new resettlement centres around the country, World Vision has been working on making our intakes from Africa and the Middle East fairer, Amnesty and a group of church representatives are working on expanding the community sponsorship pilot and groups like Peace Action Wellington continue to show solidarity with Australian activists about asylum seekers on Nauru and Manus. I will be staying involved and interested in refugee advocacy in the coming years, including in these campaigns, and future pushes for more humanitarian protection. In ending the Doing Our Bit campaign to double the refugee quota we had a small amount of cash left over. 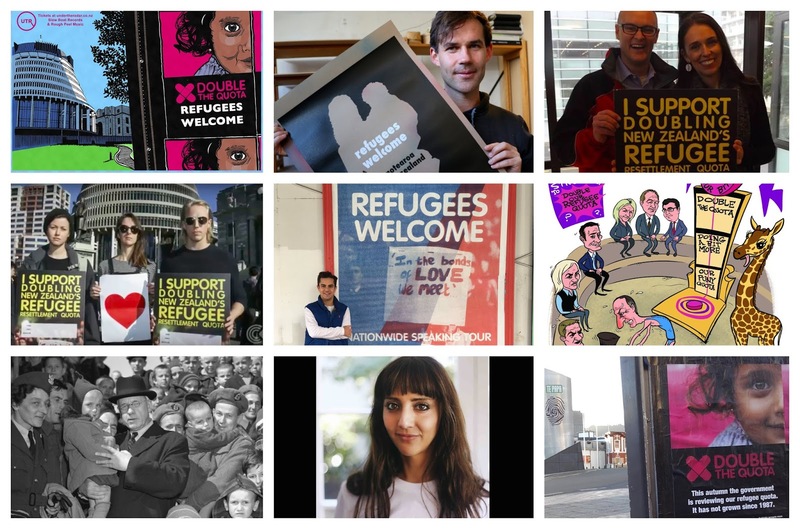 We made donations to two activist and advocacy organisations – the Asylum Seekers Equality Project and Peace Action Wellington – that know how to stretch small amounts of cash and are aligned with the core function of research-grounded activism We've worked with them both and are proud to support the work they do. We hope you follow and are informed about them too! This campaign would not have succeeded without the support of our social media crew. You were the ones that got #DoubleTheQuota trending, the ones who bought your friends, family and colleagues along and who defied the idea that online activism never makes a difference away from the screen. Solidarity and love to our all from Murdoch & the Doing Our Bit team.